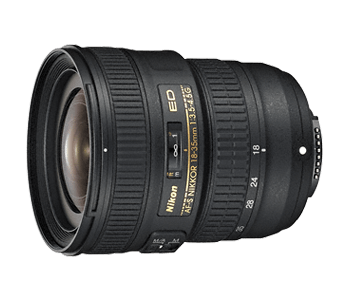 The AF-S NIKKOR 18-35mm F/3.5-4.5G ED is an FX-format, 1.9x ultra-wide-angle zoom lens with a focal length of 18-35mm. It weighs just 385g, delivering detail-rich images through a compact body. The lens is also designed with a Silent Wave Motor (SWM) for silent AF operation, which enhances the shooting experience. It is best used to capture landscapes, cityscapes and architecture.